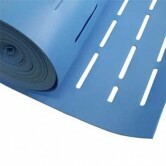 These underlays have been specifically designed to be used with underfloor heating systems and engineered hardwood floors. 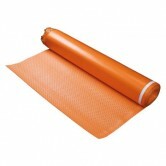 They act as a cushion between the sub floor and your hardwood floor, but they have a very low tog rating which allows the transfer of heat to reach your floor, whilst providing the other benefits of an underlay. Underfloor heating should only be used with engineered hardwood flooring (not solid wood flooring), and an underlay can be used if you wish to float your floor over the underfloor heating system. To see our full range of engineered wood flooring, click here. 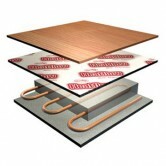 To find our more information about underlays in general, please read our blog article, Hardwood flooring and underlay.